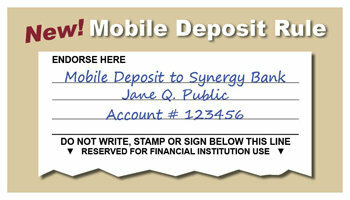 There are new requirements when making a mobile deposit. Your Bank. Our Community. Stronger Together. © 2019 Synergy Bank | Portions copyright Kasasa, Ltd. All rights reserved.